Does your closet need help? Are your shoes overtaking the floor space? This 50 pairs shoe rack is just the solution! Summer sandals, winter boots, party pump – store dozens of pairs, in or out of their boxes, on this compact shoe rack. 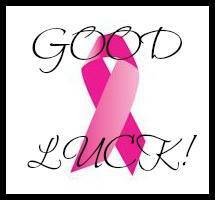 Be sure to ready Mom Does Reviews full review here. 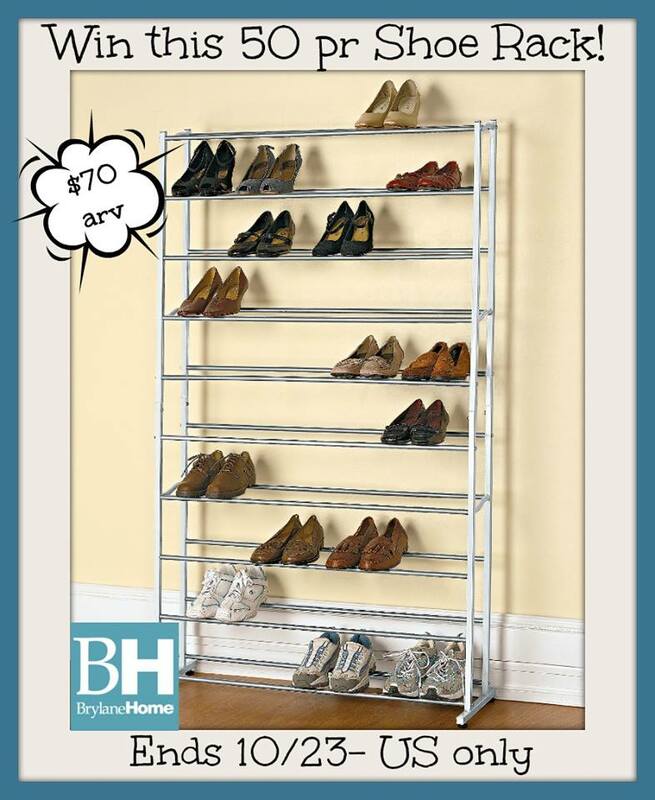 One lucky winner will get this 50 Pair Shoe rack from Brylane Home! I think I have 2 or 3 pairs of shoes. I only have about four pair. I probably have about 2 dozen pair. I f I win this, I guess I would need to buy more shoes to fill it up:). I have maybe 20….this is a good excuse to buy more. Not enough- 20! Most are boots! I have about a dozen pairs of shoes. I have about 15 pairs, but a lady could always use more. Probably about 25 pairs! Hard to keep them organized in my tiny apt! I probably have about 20 pairs. I have 7 pair of shoes. My husband has about 15 pairs of shoes. I have about 15 pairs of shoes and a lot of purses. I would use this for both. I have 57 pairs. Does that make me a bad person? I have twelve pairs of shoes. I probably own 25-30 pairs. I have about 6 or 7 pairs of shoes and like 10 pairs of flip flops. Though between my boyfriend, his brother & I, we’d probably fill up most of the shoe rack. His brother has a lot of shoes! I have 5 pair but a girl can dream! I think I have about 30 pairs of shoes. If I include my husband and daughter, we probably have around 70 pairs. I have about ten, my teenage daughter has to many to count! between my husband and I (we both have a lot) somewhere right around enough to fill this up! Seriously we both love shoes. I have about 12 pairs, my husband has a boat load of shoes though lol. I think I only have about ten pairs of shoes. I mainly wear tennis shoes. I would say, in total — boots, sneakers, flats, pumps — about 60 pairs, give or take. I probably have about 80 pairs. I think I have probably over 50! I have no room in my closet! I actually don’t have very many shoes. Maybe 10 pairs, if you count my house slippers. I have about 10 pair. I think I have twenty five or thirty. But the other girls in our house put me to shame…even my 2 yr old live in grand daughter has more than I. My son has about 30 pair now. Not to many, I have about 12 pairs of shoes. I have about 20 pairs. I’d say around 10-15 pairs. At least 20 pairs of shoes. I probably have between 10-15 pairs of shoes. Hubby would say I have too many, but I think he might outnumber me at the moment. I’ve got a couple pair Doc Martens, two sneakers, two flips, and a couple boots… Dozen? Maybe two with his shoes? I think I have about 15 pairs of shoes. 18 pair of sandles, 25 pair of shoes and 4 pair of boots. I have at least 35 pairs of shoes. I probably have 10 pairs but I have 3 kids that have a TON of shoes! 1 pr. Saddles, 1 pr. Tennis shoes, 1 pr. Black shoes. My husband is a shoe hoarder. He has about 20 pairs. I have actually purged my shoe collection recently, but I had twenty pair I just couldn’t part with. i am embarassed to say that i have about 45 pairs of shoes, fetish i guess 🙂 thank you!